I feel like for the most part I am pretty content with the rooms in my house. That was weird for me to even write because for the last 6 years I feel like I have constantly been changing something, or redoing a room. But as my babies have grown, so has their toy collection! So the playroom was in need of a little fixing up!! The previous yellow rug we had in there was never my favorite and it was pretty nasty. You would have been appalled at all the goldfish and Fruit Loops I found tangled in that thing! 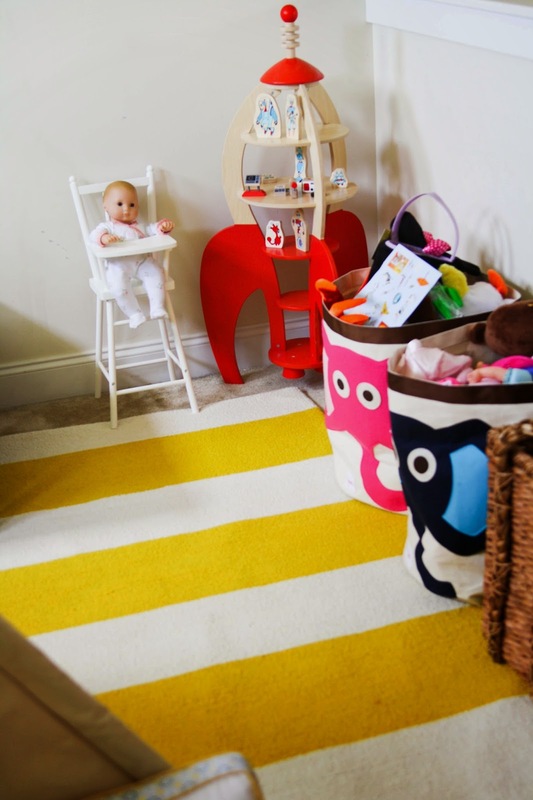 My original plan from day one had a yellow striped rug in the design, but I could never find one that I loved for a decent price! Insert Rugs USA!!! Holy Moly rug heaven my friends, and for amazing prices!!! 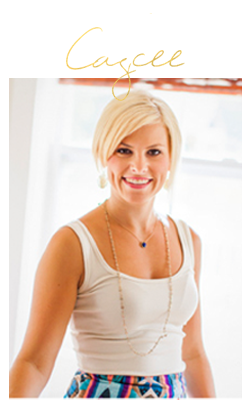 Have you ever heard of getting a 7x9 rug for under $250.00!!! That's just crazy good!! Plus, the quality is outstanding!! After I put the new rug down Carson said, "Mom I never want to move, because I love this new rug so much". Ha, I guess he thinks if we ever move, then we have to leave all of our stuff ;) The things that kid says! This room is adorable! 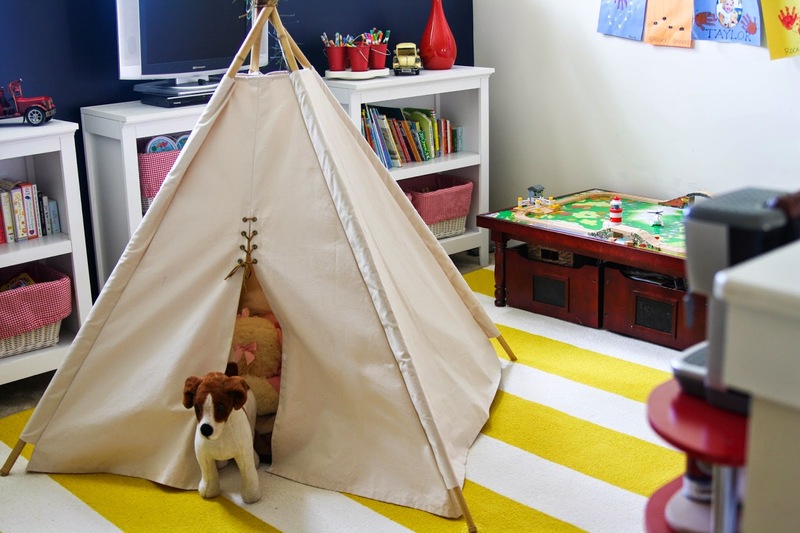 I love the rug - it's the perfect pop for such a playful room. I have all of the exact same storage bins! 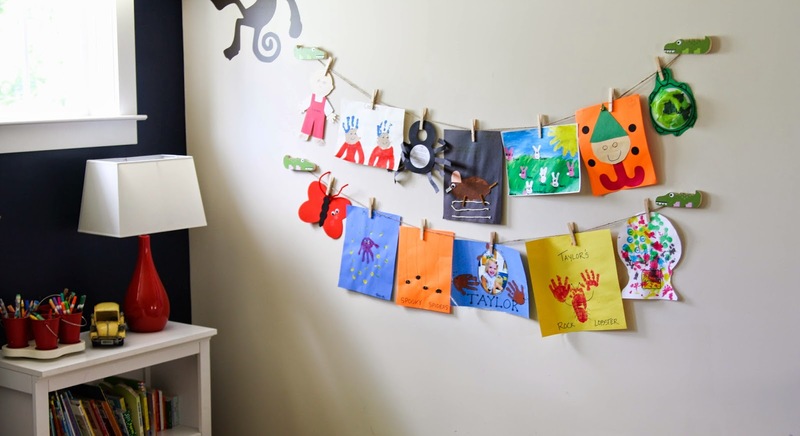 I need to make something to hang the kids art like you have! I love that! 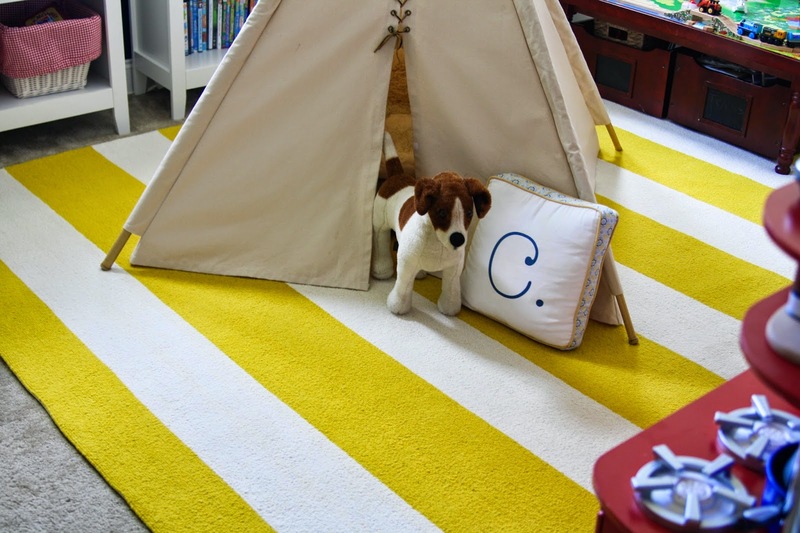 LOVE that yellow and white rug!! Beautiful! Rugs USA is awesome! 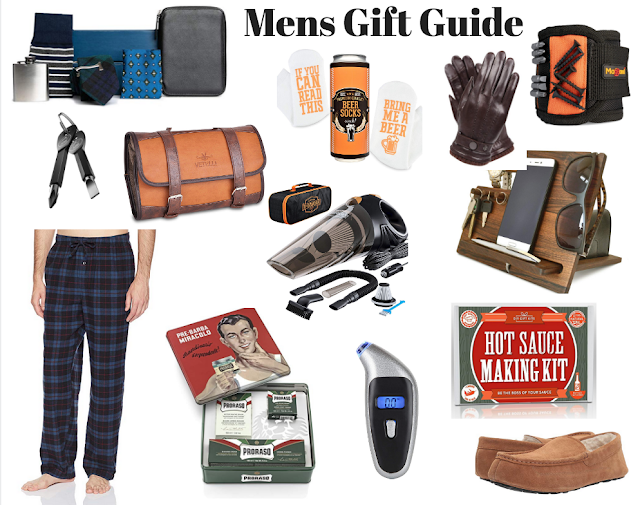 They have a great selection and are SO affordable. I love the rug you chose, it's so fun! 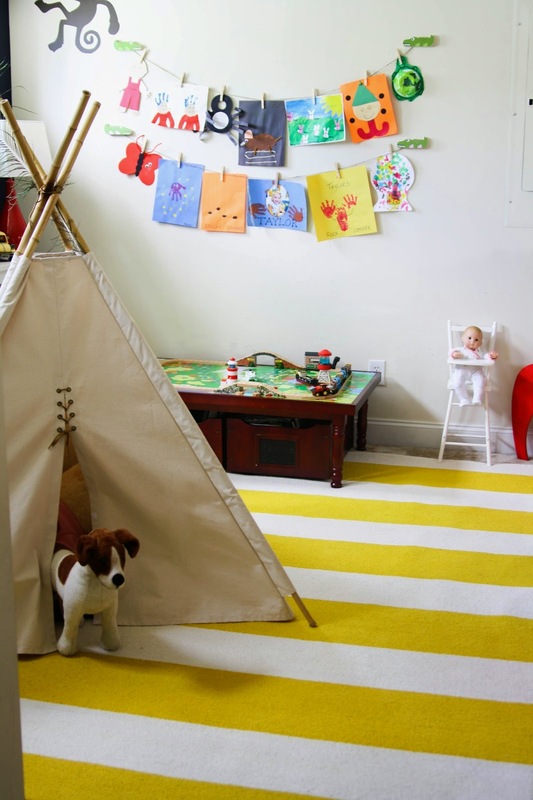 I'm so jealous of this playroom! We don't have one at all but you can bet I'll be using yours for inspiration if we ever do! Love it all! Where did you find those darling alligator clothes lines for artwork? Beautiful, and I love that striped rug! It so perfect for a play room, so bright and pretty! Love it, such a fun play room! I love how you have their artwork displayed!! A neighbor made me a big burlap board for my little man's artwork, but there is so much! I may do this option as well!